Turning off screens at least 60 minutes before bed and having a consistent bedtime ritual ensures the proper amount of sleep and reduces the risk of adverse functioning in children and adolescents. 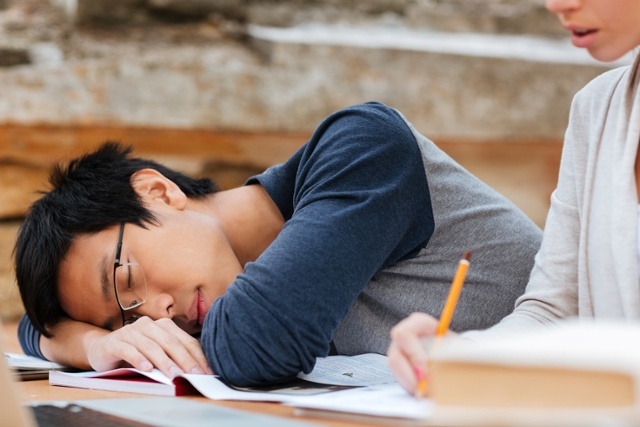 Sleep disturbance is associated with inattention, increased accidents, depression and anxiety, and poor school performance (Gregory & Sadeh, 2012; Schmidt & Van der Linden, 2015). With pervasive multi-media use by children and teens, it is important to know that nighttime blue light (in our electronic media and LED lights) impacts their sleep. This light delays melatonin production which signals sleep onset. Recent research demonstrates that pre-and mid-pubertal teens appear more vulnerable than adults to such effects (Touitou et al., in press) which contributes to delayed bedtime and disrupted sleep. Therefore, when enforcing screen time limits, bedtime is a good place to start!